Candice King guest stars as Caroline, the role she played on The Vampire Diaries, and she is again reunited with Klaus (Joseph Morgan). So far there are only three photos, but hopefully more will be released soon. THE RACE TO SAVE HAYLEY — After learning how she can get Hayley (Phoebe Tonkin) back, Hope (Danielle Rose Russell) sets off on a dangerous mission to end the mess she started. 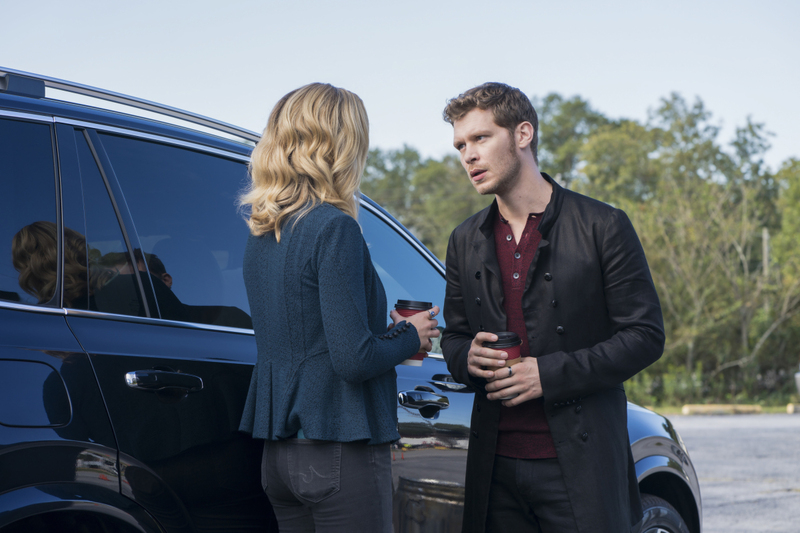 Klaus (Joseph Morgan) turns to Caroline (guest star Candice King) for help when he discovers Hope’s plan. Vincent (Yusuf Gatewood) and Freya (Riley Voelkel) clash over whether to let Declan (guest star Torrance Coombs) in on New Orleans’s supernatural secrets. Daniel Gillies also stars. Charles Michael Davis directed the episode written by Marguerite MacIntyre (#506). Original airdate 5/30/2018.